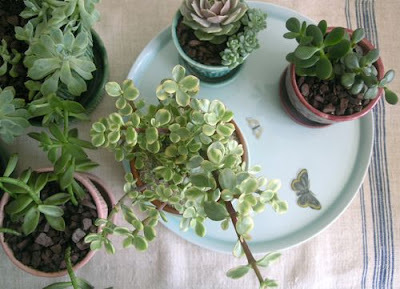 Succulents make me happy. 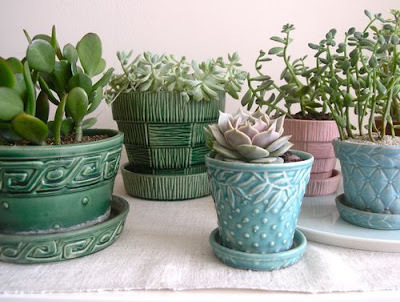 They are lovely tucked into a container for their unique patterns and textures. Their colorful, ever-vibrant low tufts of foliage dresses up windowsills and entry tables inside the home. Plant succulents in urns, colorful pots and fish bowls to create your own display. 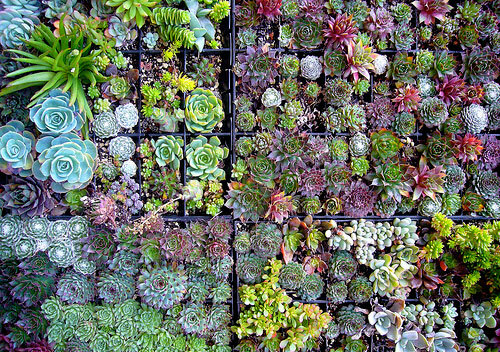 Jump below to see some succulent inspiration. Tips for propagating succulents from Sunset Magazine. 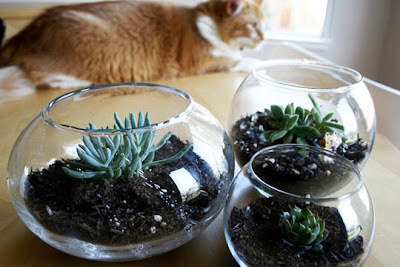 Make your own living succulent ART. Love this. Didn't know succulents could be so colorful.